On Sept. 14, 2018, Hailey Baldwin took to Twitter to shoot down rumors that she and fiancé Justin Bieber had gotten married. "I understand where the speculation is coming from, but I'm not married yet!" she tweeted out to her followers. 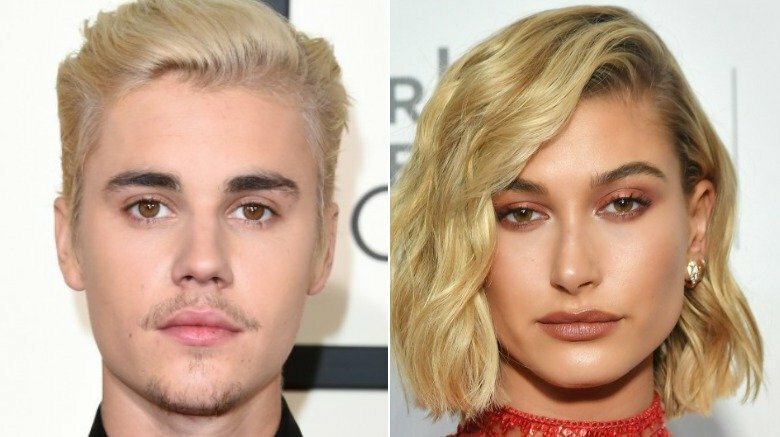 Did pop star Justin Bieber and supermodel Hailey Baldwin already tie the knot? People magazine reports that the engaged celeb pairing, who were spotted at a New York City courthouse's Marriage Bureau on Thursday, Sept. 13, 2018, may have gotten legally married that day amid their whirlwind romance. As one source told the magazine, "They went ahead and did it without listening to anyone." Meanwhile, another insider claimed that the reportedly married pair are still in the midst of planning their wedding celebration, saying that they're "going to have a big blowout, in front of God and everyone they love" sometime soon. As Nicki Swift previously reported, Bieber, 24, and Baldwin, 21, made headlines when the "Sorry" singer popped the question in early July 2018 — just one month after the on-and-off couple had rekindled their romance. Following their fast engagement, reports surfaced in mid-August claiming that the two had decided to pump the breaks on planning their wedding so they could simply enjoy their engagement. However, it sounds like those plans have recently changed. According to a recent TMZ report, Bieber was supposedly overcome with emotion while he and the Drop the Mic host picked up their marriage licenses on Thursday, telling Baldwin, "I can't wait to marry you, baby." An eyewitness also told the gossip rag that the Canadian singer had gone on to thank a court official, supposedly a judge, for "keeping it on the DL" — which gave off the first clue that the two had actually gotten hitched. At the time of this writing, Bieber, Baldwin, and their reps have yet to publicly comment on their reported marriage. While we wait to hear more details about the alleged nuptials from the couple themselves, we can only speculate on which other celeb pairing might head down the aisle next following their own quick engagements this summer — Ariana Grande and comedian Pete Davidson or Nick Jonas and actress Priyanka Chopra?